I love snowdrops as they’re a sign that spring is nearly here. 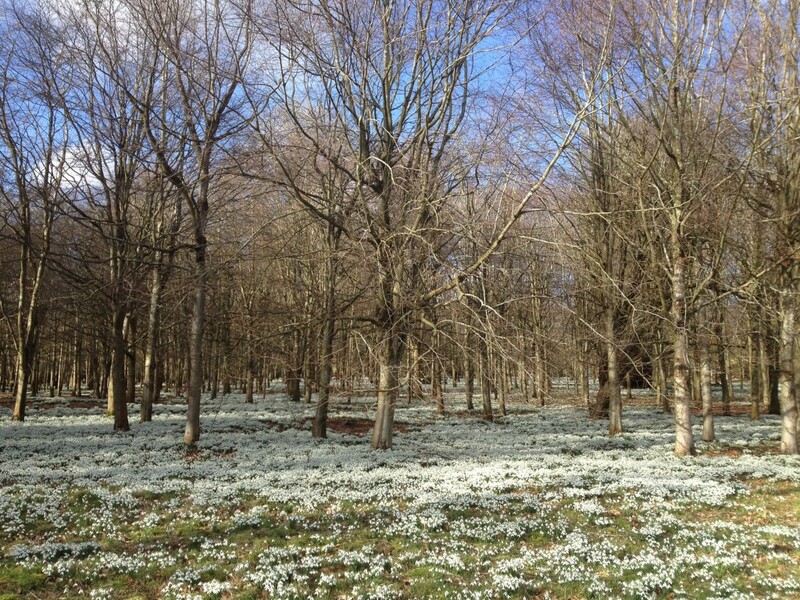 This weekend we saw oodles of them when we visited Welford Park in Berkshire to see their snowdrop displays. Welford Park is a private house which opens its gardens throughout February for snowdrop viewing. According to their website the snowdrops were first propagated by monks back in the 1500s, partly to decorate the nearby church but also for medicinal purposes. It was the first time we’d visited Welford so I was a little surprised at how many cars were in the car park when we arrived. 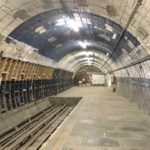 Despite being open for just one month each year everything was well set up and organised, and they’re obviously used to large numbers of visitors. We paid our entry fee (which goes to charity) and picked up a map showing the trails and other points of interest around the grounds. Most of the snowdrops are in a fenced off area of beech woodland. There is a path around the trees for visitors to follow so you get plenty of opportunity to view and photograph the snowdrops.There were lots of keen photographers with expensive looking gear, and I got carried away with snapping too. As did my daughter, who had forgotten her camera, so she kept hijacking our phones for photos. 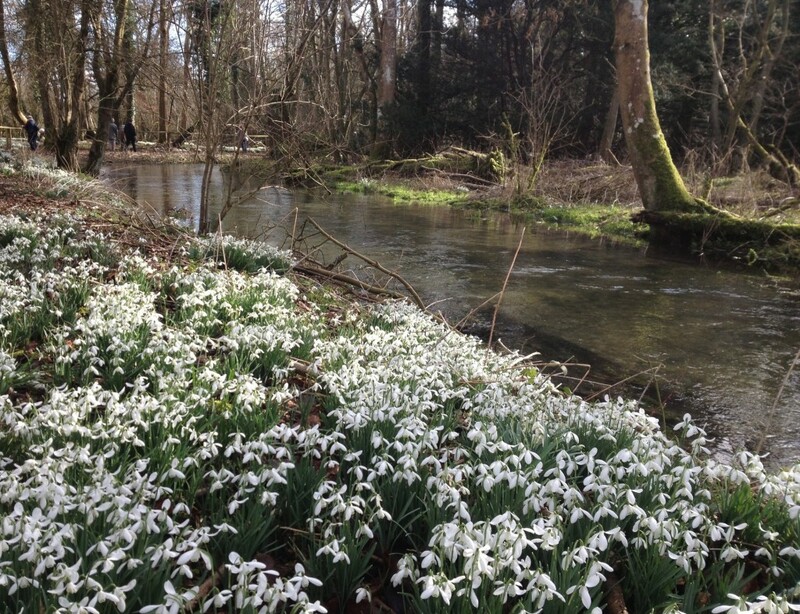 The river Lambourn provided a lovely setting for the snowdrops. It’s an incredibly clear chalk stream that flows through (and, at the moment, over) the grounds. 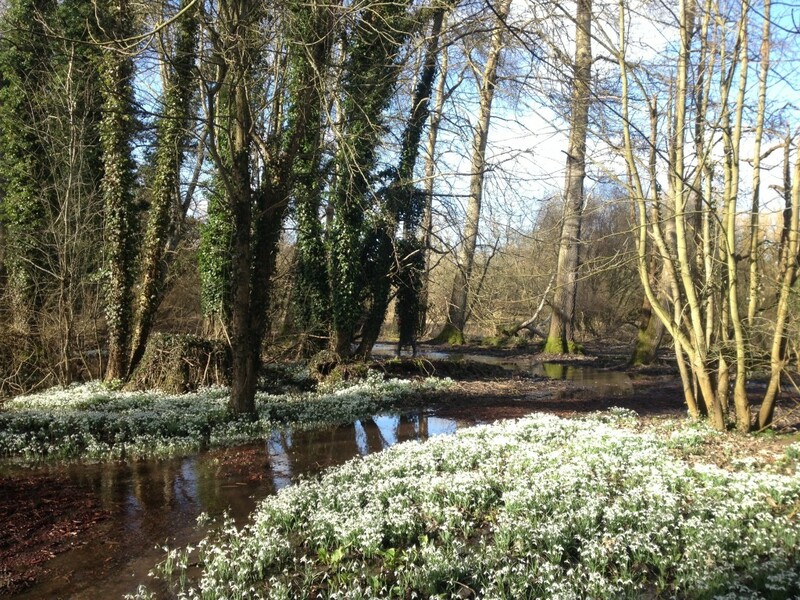 It’s caused flooding higher upstream but didn’t affect the snowdrop viewing as the soggy areas could be avoided. Of course, my son preferred to wade straight through these bits, but that’s what wellies are for! 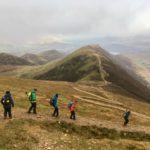 The trails are quite short so suitable for all ages. Although the woodland is the main area for snowdrops I preferred the paths alongside the stream as the sun was glistening on the water and making it seem like spring. 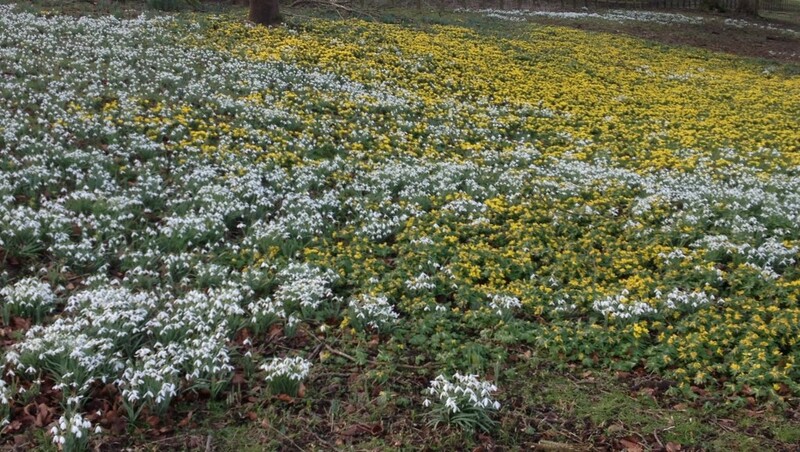 Towards the end of the walk there were also some aconites, which broke up the white snowdrop sea with a dash of yellow. Apart from the snowdrops you can take a short walk around the wild and rose gardens. There’s not much to see at this time of year, apart from more snowdrops and some bulb greenery just pushing through. Our walk finished conveniently at the tea tent. There was a power cut on the day of our visit, presumably due to the storms, so they were operating with a limited menu. Fortunately they’d managed to get a generator going so we were still able to end our afternoon with coffee and cake. Our cakes were tasty but I thought some were rather overpriced (particularly a scone with cream and jam for £3). Before leaving we had a brief look at the gift shop. This was primarily snowdrop related paraphernalia but they also sold meat from their own Welford pigs. I’m vegetarian, but was assured by my other half, that the sausages were very tasty! 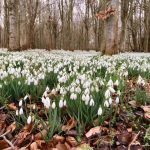 If you’re interested in other local snowdrop events pop over to my post about the best places to see snowdrops in Oxfordshire and Berkshire. In 2019 Welford Park is open from 30 January to 3 March from 11am-4pm. Closed Monday and Tuesday. Entrance costs £8 for adults, £6 concessions and students, £4 for children age 4-16. Children under 4 are free. The monies raised go to charity. One of the trails is marked as accessible. There are baby changing and disabled toilet facilities. Further details on the Welford Park website. We are planning a trip there this year after not having visited for awhile, this is somewhere I went yearly as a child and still enjoy. It is so nice to see a full carpet of snowdrops you can really appreciate their name! Thanks Amanda. 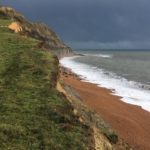 It was our first time – we normally go to a place near Henley but it has been cancelled this year due to a flooded car park. Looks beautiful. We are in Berkshire, might have to try it there. Thanks Karen. 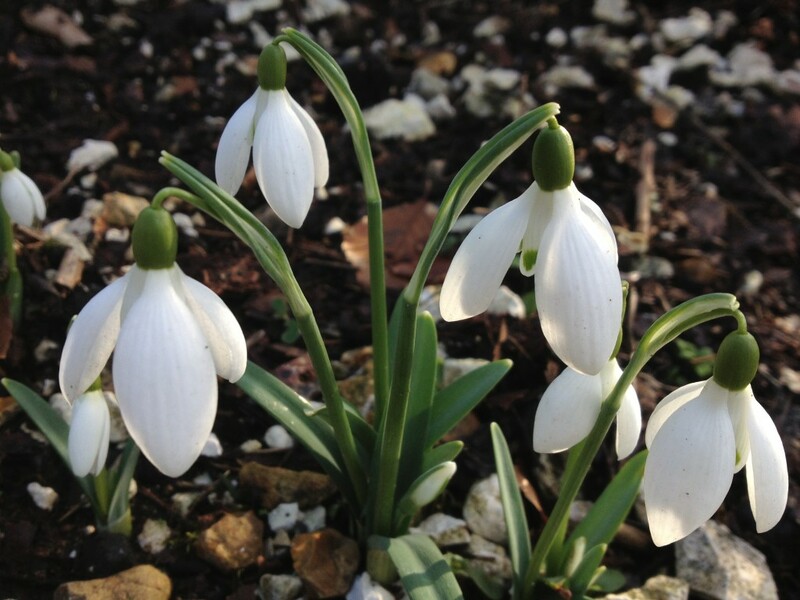 It’s definitely worth a visit, but go soon as the snowdrops are at their peak right now. Thanks Alex, I was amazed at just how many there were. The sooner spring comes the better! I’ve had enough of the rain….. Thanks for popping by Aedin! Wow, love the photos! Love snowdrops too. Spring is definitely almost here. Yay! #PoCoLo. And it can’t come soon enough! 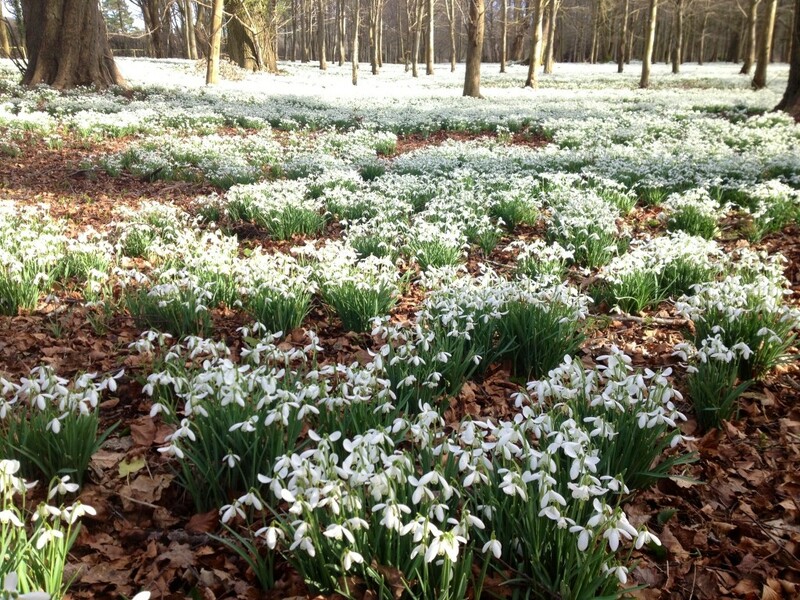 I’m jealous – it looks beautiful with all the snowdrops. I’ll have to visit when we move back to UK. Thanks Kriss, it was beautiful, particularly on a sunny day. Thanks Emma. 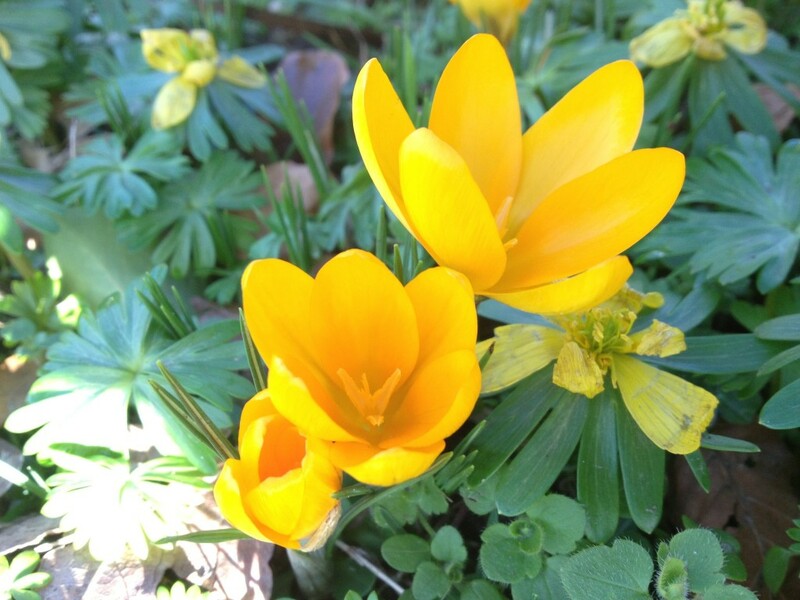 Plenty of crocus (crocii? )out here, and a few daffodils too. Hopefully it won’t be long for you. What a beautiful display of snowdrops and a generous way to share them with the public and donate to charity too. It’s just a shame as you say that some of the refreshments seemed overpriced. Thanks for linking up and sharing with Country Kids. Thanks Fiona. I guess the prices were the same as you’d pay in a tea shop but I’d have expected them to be cheaper. Thanks Karen, I would love to have a garden like this. I agree Jaime, thanks for popping by. Thanks Angie. Hope you manage to squeeze in a visit, I think the weather is supposed to be better later. Thank goodness! At last! I’ve been getting less and less energetic these last few weeks – I am so ready for spring! Yes, so am I. Saw lots of daffodils today so it’s really on it’s way now (I hope). Thank you, that’s a good description! Thank you, certainly the most I’ve seen in one place. Thanks Mel, it was lovely. March is just around the corner, almost there! Thank you Vicky. I think they’re one of my favourite flowers too. 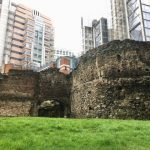 Great that you could find somewhere so colourful to visit even in this bad weather! Thank you. I’m looking forward to the daffodils now, even more colourful!